Collecting data is the first step of your survey project. The real value of your information lies in the efficiency of reporting. We provide you with real-time reporting so you can spot trends earlier, determine response rates more accurately, send reminders to increase the response, and generally manage your survey project more effectively. You can generate reports with charts in native formats, such as Excel, PowerPoint, Word, PDF, SPSS, CSV, etc. And because of CheckMarket’s multilingual capabilities, you can also report on your data in multiple languages. CheckMarket’s One-click filtering drill-down feature allows you to dig deeper into your data. You also have the ability to share reports with others. 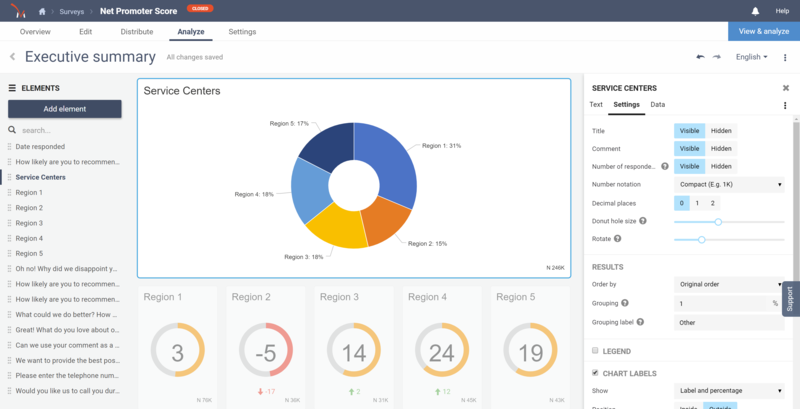 The dashboard presents in real time and in one glance, the most important details of your survey. You can use it to determine response rates more accurately, check for bounced mails and generally manage your survey project more effectively. The dashboard also provides you with direct links to a variety of pages. For instance, clicking on ‘Time remaining’ brings you directly to the page where you can alter the closing date of your survey; clicking on ‘Bounced’ opens the contact and automatically sets the filter to bounced. As soon as your survey is launched, you can already start generating real-time reports with charts. 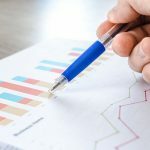 These interactive reports display general distribution statistics at the top and then a chart per question that includes the number and percent of respondents that gave each response option. Text responses can be displayed in a pop-up window. Various filters let you drill down into the data. You can also download the filtered reports in various formats. And because of CheckMarket’s multilingual capabilities, you can also report on your data in several languages. One-click filtering allows you to quickly drill down into the results by clicking specific chart bars. This will cause the results to refresh showing only the responses matching the criteria you selected. Click a chart element to include only the respondents who selected that response. Ctrl-click a chart element to exclude all the respondents who selected that response. 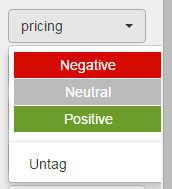 Click another chart element to filter the report further. Surveys are getting shorter and open text questions are becoming more important. Our tool includes built in text analysis and sentiment analysis. Catagorize open responses by applying tags and sentiment. Text mining lets lets you dig in and apply tags automatically and then filter on those tags to produce reports. You can define your own tags and merge tags. All the tags are available in reports and the raw data download. filter on demographics such as gender, age, postal code, etc. Generate reports in various formats such as PowerPoint (.ppt), Word (.doc), PDF, HTML, or download the raw data in Excel (.xls), SPSS fully labelled (.sav) or CSV for further analysis in other programs or for import into CRM systems or databases. Asking questions and generating responses is the basis of your survey project, but it ends in an easy-to-interpret and clear presentation of the results. You’ve got your results and you’re looking for an efficient and easy way to present them to your clients, colleagues, superiors, etc. during a seminar, workshop or meeting. The CheckMarket native PowerPoint report is the ideal instrument to get you started on your presentation. The PowerPoint report presents the results including a chart of each question on a separate slide. What’s more, the report will reflect the active filters! For instance, you could filter on each division of your company, producing a specific PowerPoint report for each division, with just a few mouse clicks. Add your own texts, annotations and images and you’re ready for the meeting room. A real time saver! Cross-Tabulation is one of the analytical tools that is a main-stay of the market research industry. Cross-Tabulation is used to show relationships between responses given for two survey questions. 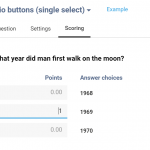 The response options from survey questions are displayed in a table to the left (the row labels) of the table data as well as across the top of the table (the column headings). 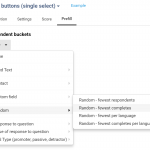 The percentages indicate the number of survey responses that matched both the column heading choice and the row label choice. Cross tabulations are also known as contingency tables. This report is available for download standard on all surveys. This report also includes unique color-coding indicating significant relationships. The response cloud is a handy tool to quickly analyse open responses. It is shown in a box at the top right of the open response report page. It contains a list of words from the open responses. The more frequently a word appears in the responses the larger the word appears in the response cloud. If you hover the mouse pointer above a word in the response cloud it shows how often the word appears and if you click on the word, the responses in the report will be filtered to only show responses containing that word. Noise words such as ‘the’ and ‘a’ are automatically filtered out of the response cloud. Curious about where your respondents live or work? A simple mouse click on a respondent’s IP address brings you immediately to a map with their geographical location. A geographical overview allows you to quickly find out what the spread of your respondents is in real-time. By using the easy interface of the map in the distribution statistics of your survey, you can quickly navigate through the different countries. The map consists of 2 detail levels: an overview of countries and an overview of cities. Depending on the number of responses in a certain country or city, the colour will change. The higher the number of respondents in a certain location, the darker the colour will be. By simply hovering above a coloured area with your mouse cursor, you can check the number of respondents from that area. By clicking on a country, you get an overview of the cities. When you are analysing the data, you can drill down to the individual respondent. You can generate reports for each of the respondents in PDF, Word or HTML. If you want to offer your respondents the possibility to view and/or print their own responses after filling out the survey, you place a special code in the text of the thank-you page. This code shall be replaced with a URL that leads to the individual responses of each respondent, when the thank-you page is shown to the respondent. You can share the results with others by providing them with a special link and password where they can review the results in real time, without giving access to your full account. The sign-in page is automatically formatted to match the look of your survey.